The Accolade, by Edmund Blair Leighton. Oil on canvas, 1901. English : The Accolade, by Edmund Blair Leighton. Oil on canvas, 1901. English : Asian fan dance. Rapeseed field near Bavenhausen, Germany. English : Rapeseed field near Bavenhausen, Germany. Diagram of neurons (nerve cells). English : Diagram of neurons (nerve cells). English : Sarus Crane (Grus antigone). Gemsbok (Oryx gazella) near Groot Okevi, Etosha, Namibia. English : Gemsbok (Oryx gazella) near Groot Okevi, Etosha, Namibia. Schematic diagram of a fishing reel. English : Schematic diagram of a fishing reel. Ferrofluid over a neodymium magnet. English : Ferrofluid over a neodymium magnet. Leopardo del Amur (Panthera pardus orientalis) en el Zoo de Pittsburgh. English : Leopardo del Amur (Panthera pardus orientalis) en el Zoo de Pittsburgh. A misty morning in Ensay/Swifts Creek region in Australia. English : A misty morning in Ensay/Swifts Creek region in Australia. Witness of V-2 damage on main intersection in Antwerp, Belgium. English : Witness of V-2 damage on main intersection in Antwerp, Belgium. Satellite photo of the Venetian Lagoon. English : Satellite photo of the Venetian Lagoon. Southern Yellow-billed Hornbill (Tockus leucomelas) in Northern Sabi Sand, South Africa. English : Southern Yellow-billed Hornbill (Tockus leucomelas) in Northern Sabi Sand, South Africa. English : Sunset in Cartagena, Colombia. A young Kayan girl from Myanmar in northern Thailand refugee camp. 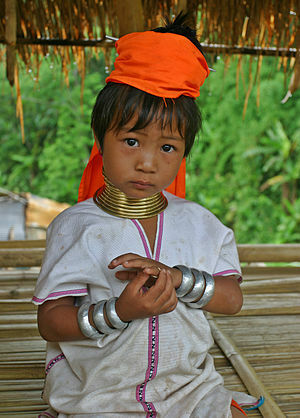 English : A young Kayan girl from Myanmar in northern Thailand refugee camp. The top of Mont-Blanc seen from the Glaciers Mouth. English : The top of Mont-Blanc seen from the Glaciers Mouth. The Gitterpavillon at Sanssouci, Potsdam, Germany. 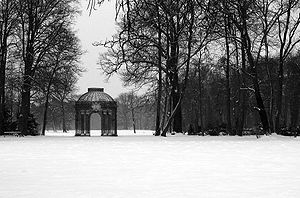 English : The Gitterpavillon at Sanssouci, Potsdam, Germany. English : Euston Tower in London. Napoleon III, after his death, illustration of the Jan 25,1873 Illustrated London News. English : Napoleon III, after his death, illustration of the Jan 25,1873 Illustrated London News. The nature reserve Schleienlöcher in Hard, Austria. English : The nature reserve Schleienlöcher in Hard, Austria. A female Crab spider (Misumena vatia) on the common yarrow flowers (Achillea millefolium). English : A female Crab spider (Misumena vatia) on the common yarrow flowers (Achillea millefolium).